Thousands of desperate refugees have been stuck for days on the Greek side of the border. The frustration boiled over on Monday. 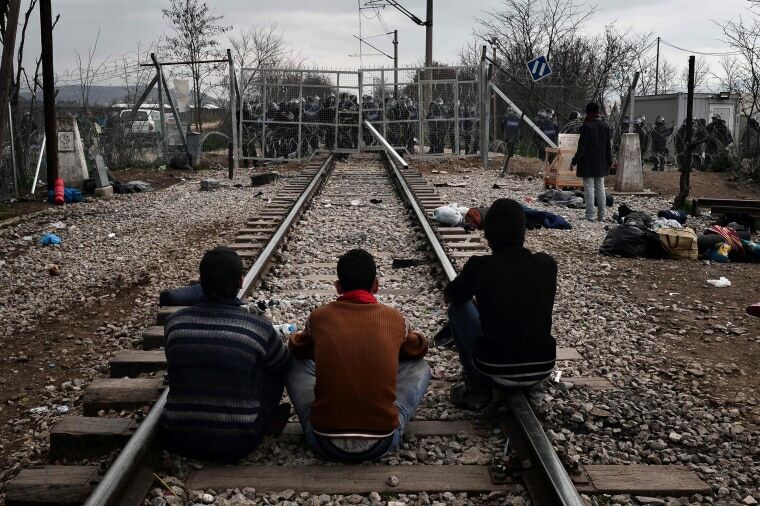 Migrants sit on rail tracks as they face a fence guarded by Macedonian police at the Greek-Macedonian border near the Greek village of Idomeni on Feb. 29. 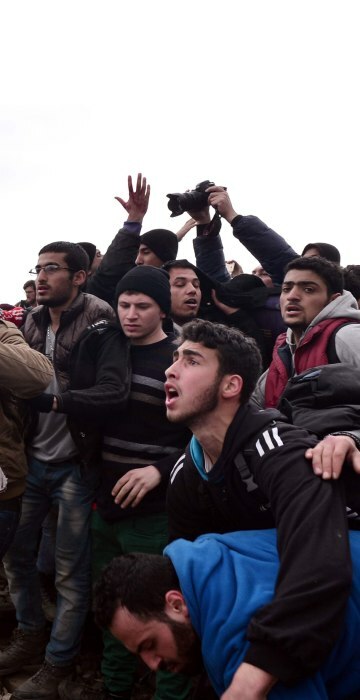 Police used tear gas and stun grenades to repel hundreds of migrants and refugees who stormed the Macedonian border from Greece Monday, tearing down a gate as frustrations boiled over at restrictions imposed on people moving through the Balkans. 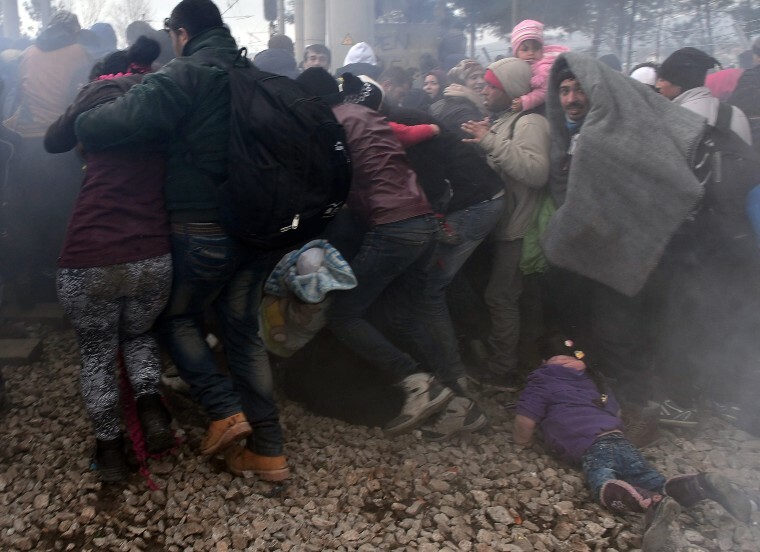 Refugees try to break through a Greek police blockade to reach the border fence with Macedonia. 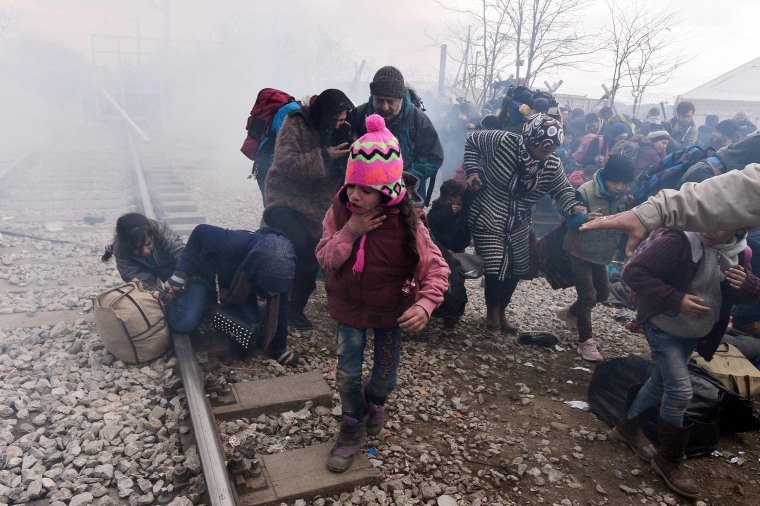 Thousands of desperate refugees have been stuck for days on the Greek side of the border, overflowing from a packed refugee camp at Idomeni into the surrounding fields as they waited for Macedonian authorities to let them continue their trek through the Balkans. 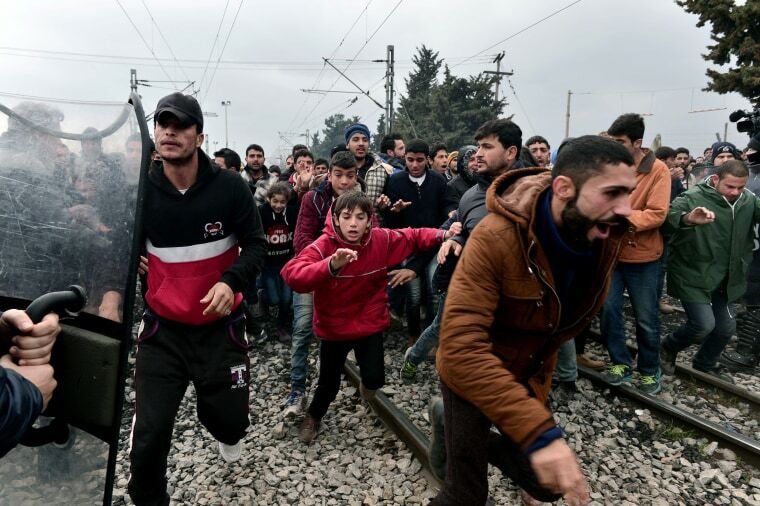 Migrants run towards the border fence with Macedonia after breaking through blockade of Greek police. Macedonia has said it will only allow in as many people as Serbia accepts, and Serbia has been responding to refugee caps set by Austria further up the migrant trail into Western Europe. 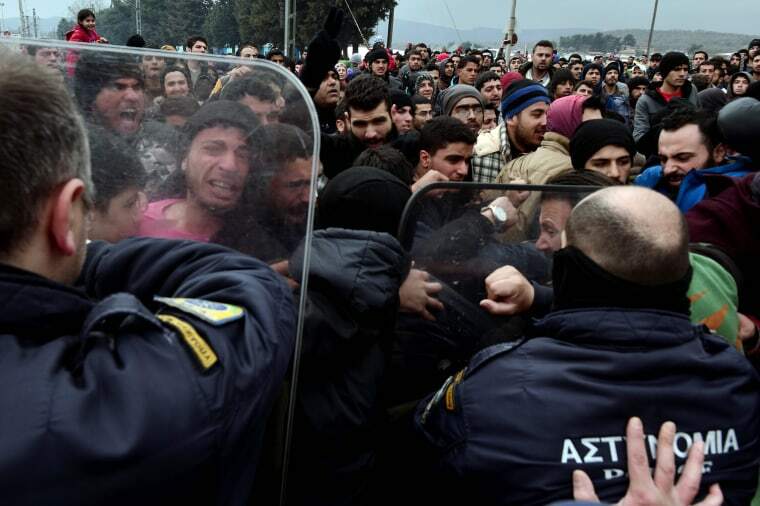 This has led to a huge bottleneck in Greece. 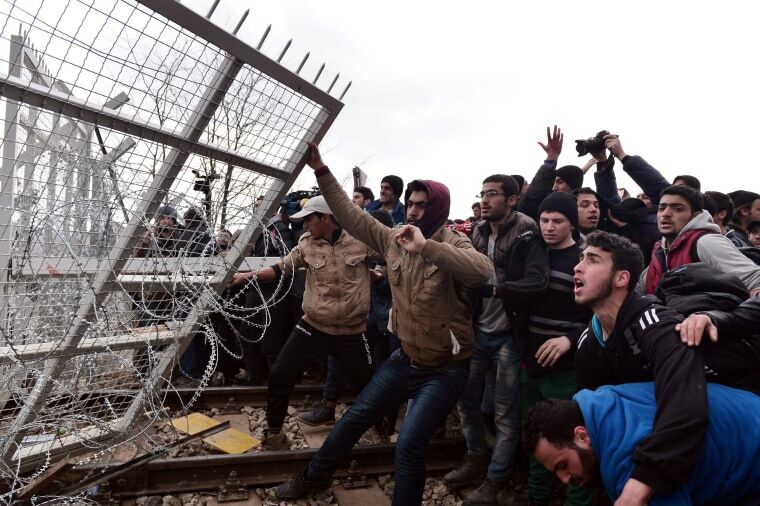 Refugees and migrants try to broke an iron fence from the Greek side of the border as Macedonian police stand guard. 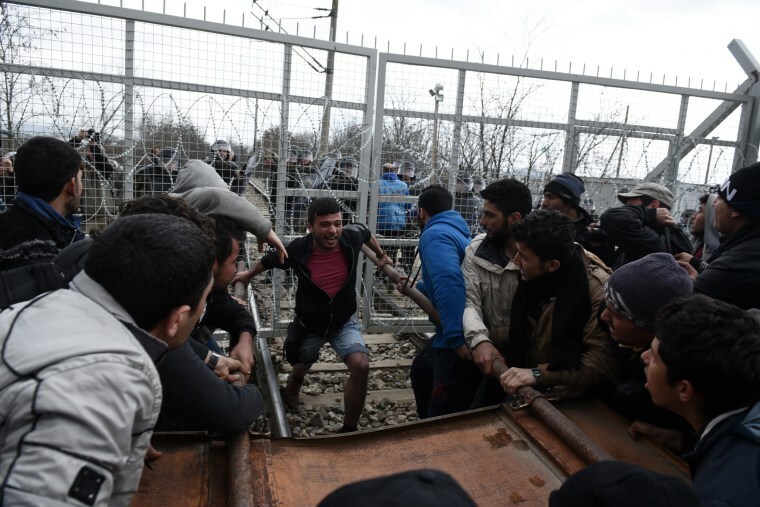 Refugees tear down a gate at the Greek-Macedonian border. A child coughs as migrants and refugees flee after Macedonian police fired tear gas at hundreds of Iraqi and Syrian migrants who tried to break through the border fence. A child lays on the ground as migrants and refugees flee after Macedonian police fired tear gas. 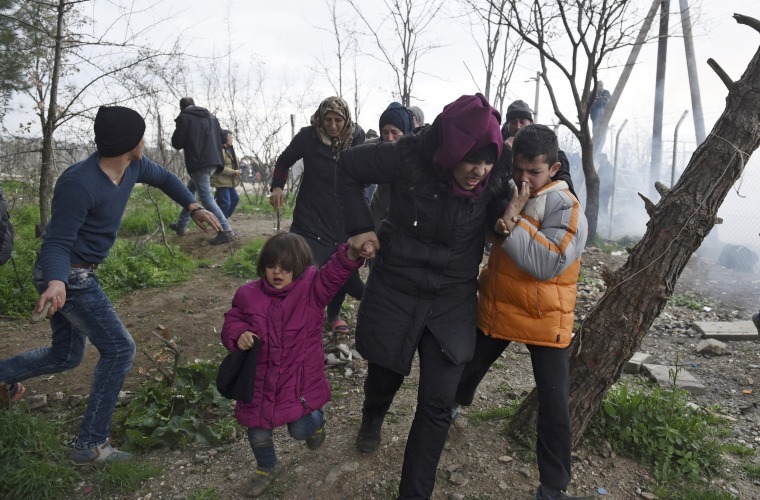 A woman holds her children on the Greek side of the border as they run away after Macedonian police fired tear gas at a group of the refugees and migrants who tried to push their way into Macedonia. 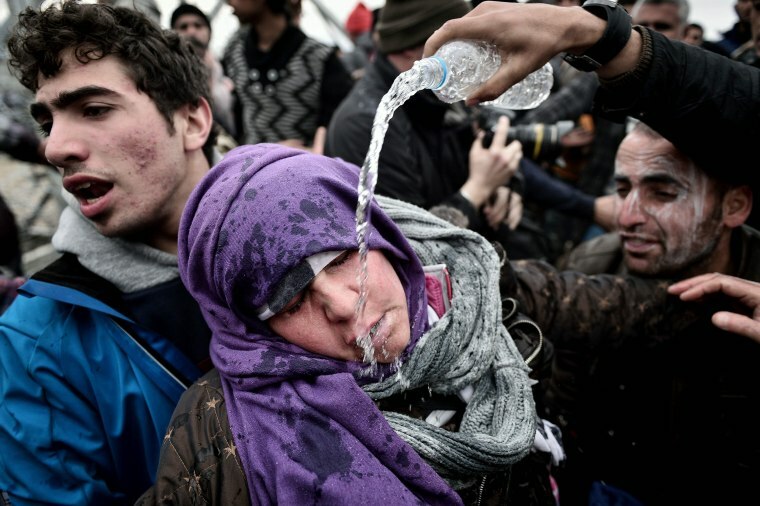 A refugee pours water over a woman who collapsed after losing her child in the panic when police used tear gas. 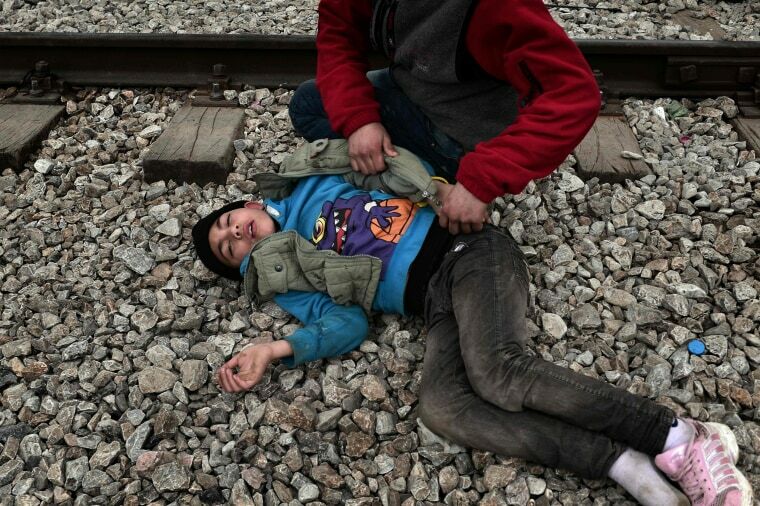 A man helps a boy who collapsed after inhaling tear gas. 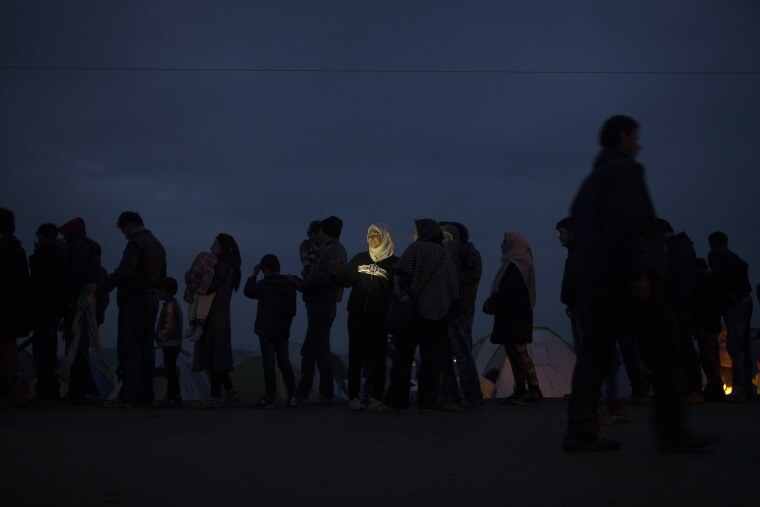 Refugees and migrants wait to receive food distributed by an NGO at the Greek-Macedonian border near Idomeni, Greece. About 6,500 Syrian and Iraqi refugees are camped out around Idomeni.